Oppo has been hyping the launch of its upcoming flagship for weeks. 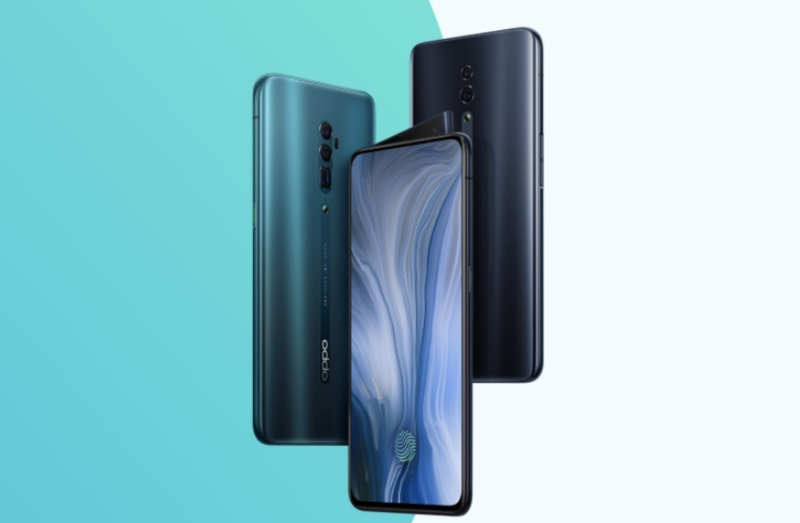 The Oppo Reno, a new lineup from the Chinese giant has finally been announced and it comes in 2 editions. One is the standard Reno and the other a higher-end flagship variant with 10x zoom and Qualcomm Snapdragon 855. The Oppo Reno series has been launched in China today, with the Standard Edition price starting at 2,999 yuan (Approx Rs 31,000) for the 6GB+128GB base variant. It comes in four color variants namely fog sea green, extreme night black, mist powder, and nebula purple. On the other hand, the Oppo Reno 10x Zoom Edition will start retailing at 3,999 yuan (Approx Rs 41,000) for the base variant and will only be available in two color variants. The Oppo Reno series is now available for pre-order and will go on sale from 16th April, only in China at the moment though. The display on the Oppo Reno is a 6.4-inch Full-HD+ AMOLED panel with no notch, hole-punch or any other form of intrusion. It’s a truly bezel-less design, which we’ve come to expect from flagship Oppo and Vivo smartphones. The display is TÜV Rheinland certified and boasts a 93.1% screen-to-body ratio. In terms of camera, the standard edition Reno includes a dual rear camera setup with a 48MP (f/1.7) Sony IMX586 sensor, along with a 5MP (f/2.4) depth sensor. As for the selfie camera, well, all the leaks were indeed true. Oppo Reno comes with a new wedge-style pop-up camera module that takes about 0.8 seconds to open and hosts the 16MP (f/2.0) selfie camera. There are no Face ID-like facial recognition features. Coming to the main demonstration of the launch today, the Oppo Reno 10x Zoom Edition is boasting the same design as the standard edition but comes with a larger 6.6-inch Full-HD+ AMOLED screen. Since this is a higher-end variant, it is powered by the Snapdragon 855 chipset, coupled with up to 8GB of RAM and 256GB of internal storage. 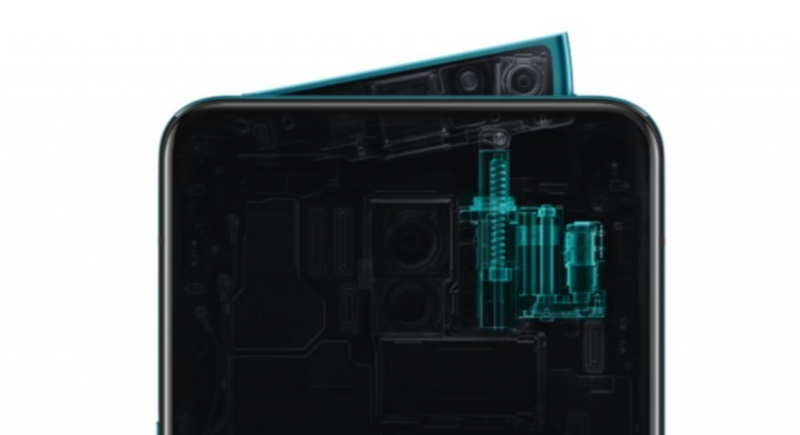 Additionally, there’s also an upgraded camera module on the rear in comparison to the standard edition. The selfie camera onboard here is the same as the standard edition, along with all other specifications like connectivity, biometrics, software, and more. It’s only the battery size that has increased up to 4065mAh on this higher-end variant.